Dr. Christopher Carilli, a National Radio Astronomy Observatory (NRAO) astronomer in Socorro, New Mexico, has been chosen to receive the prestigious Max Planck Research Award from the Alexander von Humboldt Foundation and the Max Planck Society in Germany. Carilli, a radio astronomer, and German particle physicist Christof Wetterich are the 2005 recipients of the award, conferred on "one researcher working in Germany and one working abroad who have already gained an international reputation and who are expected to produce outstanding achievements in the framework of international collaboration," according to an announcement from the Humboldt Foundation. "This is a great honor for Chris, and we are proud to see him receive such important international recognition for the excellence of his research," said NRAO Director Fred K.Y. Lo. Carilli's research has focused on studying very distant galaxies in the early Universe, and a quest to find the first luminous objects, such as stars or galaxies, to emerge. His most recent interests focus on unveiling the mysteries of what cosmologists call the "Epoch of Reionization," when the first stars and galaxies ionized the neutral hydrogen that pervaded the young Universe. Carilli and his research colleagues have used NRAO's Very Large Array and other radio telescopes to discover that the molecular raw material for star formation already was present in a galaxy seen as it was about 800 million years after the Big Bang, less than 1/16 the current age of the Universe. The Max Planck Research Award provides 750,000 Euros (currently about $900,000), to be used over five years, for research. The funding is provided by the German Ministry of Education and Research. Carilli will use the funding to support young researchers and to build scientific instrumentation, with a focus on fostering radio studies of cosmic reionization and the first galaxies. "The phone call from Prof. Fruehwald, president of the Humboldt Foundation, was quite a shock, and overwhelming, but much appreciated," Carilli said. "Now I just have to make good on their investment. Fortunately, I have a lot of help. I consider this award a recognition of our team's efforts over the last few years." The team includes collaborators in Bonn, Profs. Karl Menten and Frank Bertoldi; Heidelberg, Drs. Fabian Walter and Eva Schinnerer; and in France, Dr. Pierre Cox and Prof. Alain Omont. Carilli added: "In an era of big international telescope projects, I think we have set the standard for successful international research collaborations. These folks are not only my professional colleagues, but good friends." Carilli received a B.A. in Physics and Astronomy from the University of Pennsylvania and, in 1989, a Ph.D. in Physics from the Massachusetts Institute of Technology. 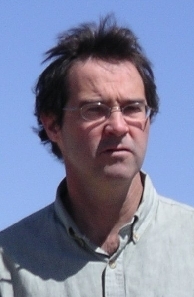 After serving in research positions at NRAO in Socorro, the Harvard-Smithsonian Center for Astrophysics, and Leiden Observatory in the Netherlands, Carilli joined NRAO's permanent scientific staff in 1996. He also was a visiting Humboldt fellow in Bonn in 1999. He serves on a number of scientific advisory committees, and recently was chair of the international science advisory committee for the Square Kilometer Array project. He has co-edited five books and authored numerous research papers in a wide variety of scientific journals.